[S1585] United States Federal Census, Washington, District of Columbia, Population Schedule: Barren Creek, Marion, Arkansas; Page 118; Dwelling Number: 816; Family Number: 1, Date: 1860. [S1577] Malissa Ann Cooper Bagwell Grave Stone, Find a Grave, www.findagrave.com. Alice (?) was born on 20 September 1861 in Alabama. As of circa 1884,her married name was Bagwell. She married George Bagwell, son of Allen H. Bagwell and Malissa Ann Cooper, circa 1884. Alice (?) died on 14 November 1934 in Independence, Baxter County, Arkansas, at age 73. [S1582] Cora Bagwell Grave Stone, Find a Grave, www.findagrave.com. [S1580] Nora Ann Marler Grave Stone, Find a Grave, www.findagrave.com. [S1579] Benjamin F. Marler Grave Stone, Find a Grave, www.findagrave.com. [S1581] Dora Bagwell Grave Stone, Find a Grave, www.findagrave.com. Mary Bagwell was born on 12 June 1891 in Independence, Baxter County, Arkansas. She was the daughter of George Bagwell and Alice (?) As of before 1912,her married name was Reed. Mary Bagwell married Levi D. Reed before 1912. Mary Bagwell died on 6 March 1966 at age 74. She was buried at Pilgrims Rest Cemetery, Monkey Run, Baxter County, Arkansas. Maude Ellen Bagwell was born in June 1893 in Arkansas. She was the daughter of George Bagwell and Alice (?) As of before 1930,her married name was Haley. Maude Ellen Bagwell married William V. Haley before 1930. Maude Ellen Bagwell died in 1968 in Witchita, Sedgwick County, Kansas. She was buried at Pilgrims Rest Cemetery, Monkey Run, Baxter County, Arkansas. Florence Bagwell was born on 2 March 1897 in Arkansas. She was the daughter of George Bagwell and Alice (?) As of after 1917,her married name was Crownover. 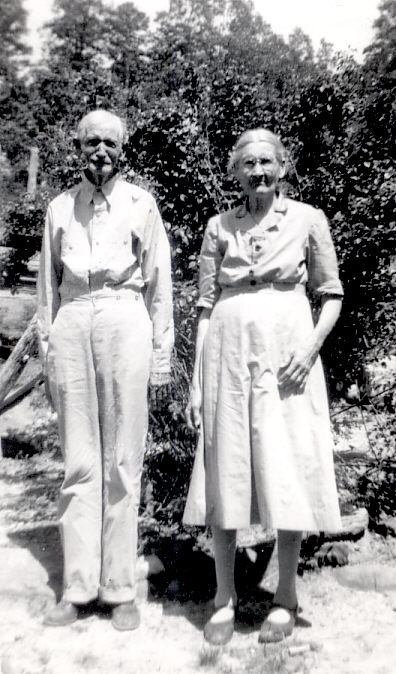 Florence Bagwell married Jesse B. Crownover after 1917. Florence Bagwell died on 21 April 1979 at age 82. She was buried at Old Mission Cemetery, Witchita, Sedgwick County, Kansas. John Madison Bagwell was born on 11 December 1860 in Baxter County, Arkansas.1 He was the son of Allen H. Bagwell and Eliza Herman.1 John Madison Bagwell married Mariah Josephine Mason on 14 April 1886 at Izard County, Arkansas.1 John Madison Bagwell died on 23 July 1941 in Broken Arrow, Tulsa County, Oklahoma, at age 80.1 He was buried at Park Grove Cemetery, Broken Arrow, Tulsa County, Oklahoma. [S1583] Lula Mae Bagwell Jones Grave Stone, Find a Grave, www.findagrave.com. Mariah Josephine Mason was also known as Ida. She was born on 27 December 1869 in Izard, Arkansas. 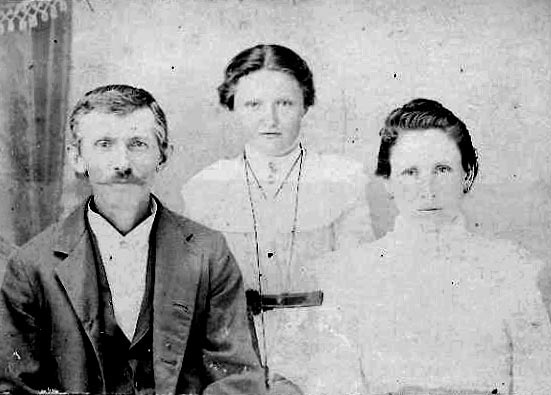 As of 14 April 1886,her married name was Bagwell.2 She married John Madison Bagwell, son of Allen H. Bagwell and Eliza Herman, on 14 April 1886 at Izard County, Arkansas.2 Mariah Josephine Mason died on 27 December 1946 in Broken Arrow, Tulsa County, Oklahoma, at age 77.2 She was buried at Park Grove Cemetery, Broken Arrow, Tulsa County, Oklahoma. [S1584] Charles B. Jones Grave Stone, Find a Grave, www.findagrave.com. Eliza Herman was born circa 1825 in Alabama.1,2 As of before 1854,her married name was Bagwell. She married Allen H. Bagwell before 1854.1,2 Eliza Herman died circa 1881. Sarah Elizabeth Bagwell was born on 30 March 1856 in Marion County, Arkansas.1,2 She was the daughter of Allen H. Bagwell and Eliza Herman.1,2 Sarah Elizabeth Bagwell and Allen H. Bagwell lived in 1860 in Barren Creek, Marion County, Arkansas. As of 18 October 1876,her married name was Lindsey. Sarah Elizabeth Bagwell married James William Lindsey on 18 October 1876 at Baxter County, Arkansas. Sarah Elizabeth Bagwell died on 14 October 1943 at age 87.2 She was buried at Elmwood Cemetery, Wagoner, Wagoner County, Oklahoma. Allen H. Bagwell Jr. was born on 11 December 1863 in Baxter County, Arkansas.1 He was the son of Allen H. Bagwell and Eliza Herman.1 Allen H. Bagwell Jr. married Mary Elizabeth Bolding circa 1888.1 Allen H. Bagwell Jr. and Mary Elizabeth Bolding lived in 1920 in Concho County, Texas. Allen H. Bagwell Jr. died on 1 October 1942 in Menard County, Texas, at age 78.1 He was buried at Eden Cemetery, Eden, Concho County, Texas. Mariah Jane Mitchell was born on 6 January 1845 in Noxubee County, Mississippi.1 As of circa 1865,her married name was Bagwell. She married Lewis Bagwell, son of Warren Thomas Bagwell Jr. and Dicey McLendon, circa 1865.1 Mariah Jane Mitchell and Lewis Bagwell lived in 1870 in Tumbleston, Scott County, Arkansas.1 Mariah Jane Mitchell died on 8 February 1897 in De Soto Parish, Louisiana, at age 52. She was buried at Keatchie Cemetery, Keatchie, De Soto Parish, Louisiana. Dicey McLendon was also known as Dicey McClendon. Dicey McLendon was also known as Dicy.1 She was born circa 1801 in Tennessee or Georgia.1 She married Warren Thomas Bagwell Jr., son of Warren Bagwell, on 26 March 1828 at Perry County, Alabama.1,2 Her married name was Bagwell. Dicey McLendon and Warren Thomas Bagwell Jr. lived in 1850 in Union Parish, Louisiana.2 Dicey McLendon died on 3 June 1869 in Farmerville, Union Parish, Louisiana. Children of Dicey McLendon and Warren Thomas Bagwell Jr.
Sarah Ann "Susan" Bagwell was also known as Susan Bagwell. She was born circa 1842 in Alabama.1 She was the daughter of Warren Thomas Bagwell Jr. and Dicey McLendon.2,1 Sarah Ann "Susan" Bagwell lived in 1850 in Union Parish, Louisiana.1 She lived in 1870 in Union Parish, Louisiana. Frances W. Bagwell was born circa 1832 in Alabama.1 He was the son of Warren Thomas Bagwell Jr. and Dicey McLendon. Frances W. Bagwell married Mary (? )1 Frances W. Bagwell died in July 1870.
that he died on November 11th. decrees necessary in the premises and for general relief &c.
return thereof make to this office without delay. my ability and understanding. So help me God. Sworn to and subscribed before me this 3rd day of December 1862. W. S. Davis, J. P.
Succession of J. C. Bagwell, Decd. appertaining to said appointment according to law. Given under my hand and the seal of said court this 29th December 1862. Know all men by these presents that we, Elizabeth E. Bagwell as principal and J. R. Pardue and James B.
faithful payment thereof well and truly to be made. Farmerville, December the 5th 1862.
the oath required by law. money and deliver all the property of whatever nature to the proper person or persons to receive the same. Then this obligation to be null and void, otherwise to be in full force and effect. Done, signed and acknowledged before me the day and date above written. to the best of your judgment and understanding. So help you God. 4th day of December AD 1862. Honorable 11th Judicial district court in and for the Parish of Union, State aforesaid and to me William C.
Inventory and Appraisement of the Estate of the said James C. Bagwell, Decd. as hereafter with forth viz. Recorder on this the day and date above written. necessary to sell all the property both personal and real of said estate to pay the debts of the same. the Code of Practice and for general relief &c.
Done and signed in office this 29th December 1862. Judicial District Court in and for the Parish of Union. the assets of the Estate amount to the sum of seven hundred and twenty seven and 75/100 Dollars Cash. which if any she does not know. and tableau of distribution be advertised according to law. Done and signed in office on this August 1st AD 1863. Bryant R. Bagwell was born circa 1836 in Alabama.1 He was the son of Warren Thomas Bagwell Jr. and Dicey McLendon.1 Bryant R. Bagwell married Julia Ann (?) after 1860. Bryant R. Bagwell and Julia Ann (?) lived in 1870 in Union Parish, Louisiana. Bryant R. Bagwell and Julia Ann (?) lived in 1880 in Tomlinson, Scott County, Arkansas. Bryant R. Bagwell died after 1880 in Arkansas. John C. Bagwell was born circa 1840 in Alabama.1 He was the son of Warren Thomas Bagwell Jr. and Dicey McLendon.1 John C. Bagwell died on 17 July 1863 He served in Company G, 31st Louisianna Infantry in CSA. He was killed in Soldier, Carter County, Kentucky during the Civil War. Thornton R. Bagwell was born circa 1842 in Perry County, Alabama.1 He was the son of Warren Thomas Bagwell Jr. and Dicey McLendon.1 Thornton R. Bagwell married Eliza Catherine Moore after 1855. He was a Private in the 31st Regiment, Louisiana Infantry, Company G in the Army of the Confederate States of America. Thornton R. Bagwell died on 10 November 1883 in Union Parish, Louisiana.